An automatic sprinkler for home irrigation. Home irrigation is a term that applies to using irrigation to provide water for landscaping around a private residence. This typically includes grass, shrubs and trees, which may require more water than is naturally available for optimum growth and appearance. Home irrigation is usually done by sprinklers, but drip systems could also be installed. No matter what type of system is used, it is important to consider all local regulations regarding irrigation. One of the most common types of home irrigation systems is simply a hose attached to a tool to distribute the water. The tool could be a handheld water nozzle or wand, or it could be a sprinkler system. Many sprinklers use the force of the water, and a series of small valves to rotate the head of the sprinkler so that a larger area is watered. These sprinklers are often very portable, and can be moved to areas where they are needed most. Another type of home irrigation system is the automatic system. Installing such a system often involves substantial plumbing and wiring. Sprinklers, either rotating or stationary, are often placed in a line. Usually, they recede into the ground when not in use and pop up when they are turned on. This system can be put on an automated timer or be controlled manually. Drip systems are another type of landscape irrigation strategy that may be used by some homeowners. While they are just beginning to gain popularity in the home irrigation market, they have been used commercially by farmers and professional landscapers for years. This system's main advantages are that it puts the water exactly where it is needed with minimal evaporation, and it can be easily hidden, allowing onlookers to enjoy the landscaping without ever seeing it is being watered. As with the automatic system, permanent plumbing will be needed. Those who are considering a home irrigation system may wish to check with a local landscaper or university extension office for advice. Some types of systems may be more effective than others, depending on the geographic location and the topography of the individual yard. Other things, such as the time the yard is watered, will also have an effect. For example, choosing to water in the early mornings or late evenings reduces water loss caused by evaporation. Also, it is important to consider local regulations when choosing a home irrigation strategy. Some locations may have laws specifying that lawn irrigation can only be done on certain days and at certain times. These types of regulations are very common in locations where water shortages are a concern. If an area is experiencing drought conditions, lawn irrigation may not be allowed at all. 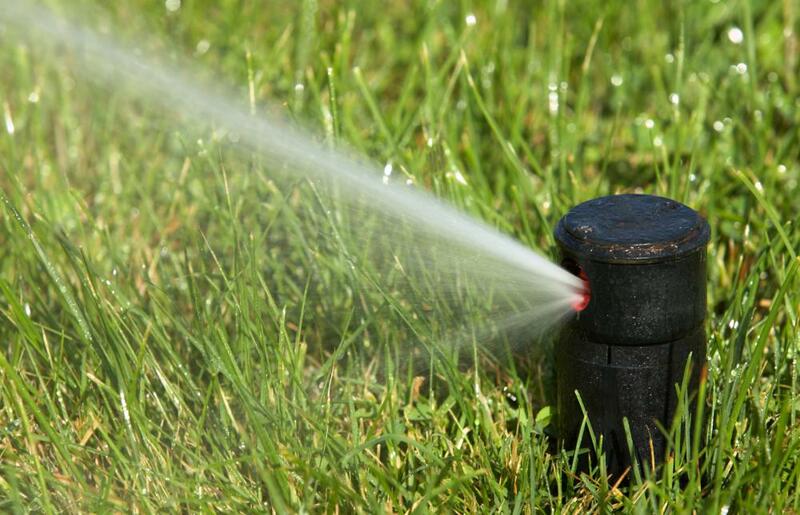 What are the Different Types of Yard Sprinklers? What are the Different Types of Yard Irrigation? What does a Topographer do? How do I Choose the Best Irrigation Supplies?